The tips are fairly random and this is intentional. There are going to be a lot of tips and I don’t want to spend three weeks talking about the same topic because that becomes boring. There are small groups to tips, such as three or four on the same topic, then it switches to something else. This way you never know what is coming up next, there is something for everyone, and it is more interesting. 1 How many posts do you need to launch your site? Should you wait until you have written 5, 10, 20? How many do you need to start a blog? Only commercial sites with a team of people behind them and a huge marketing budget will launch with lots of content. They aim to have a complete site with posts, products and services in place from day 1. It is different when you are on your own. There is no point in waiting to launch your blog and once the site is set up and working, write a blog post and get started! Lots of people began with just one post on their site and they just gradually built it up over time. Putting off launching just delays it. Don’t worry about people judging you, they won’t. Some pages are essential for all websites and blogs and one of the first pages you should create is the About page. WordPress lets you create pages or posts and About should be a page and not a post. Make sure there is a link at the top or the bottom of the page to About so that people can easily find it when they are browsing your site. It should tell people what information is collected about them, the ads that are displayed, the cookies, whether information is shared with third parties and so on. Copy the text off their page into your own page, then replace every mention of Automattic with your own website, blog, personal or company name. Whichever is best. A site must have contact information because this builds trust between you and the visitor. Also, Google likes to have contact information and you are likely to rank higher in search results with it than without it. What sort of information is required? At the very least, you should have an email address, but why not also include your Facebook page, Twitter account, and LinkedIn? These are all public, not private and are useful ways for people to contact you. If you are a business then an address and phone number is essential because it builds even more trust, especially if you sell goods or services. If you are just a blogger you would not want your home address and phone number made public and that’s OK. Just include as many ways to contact you as you can. 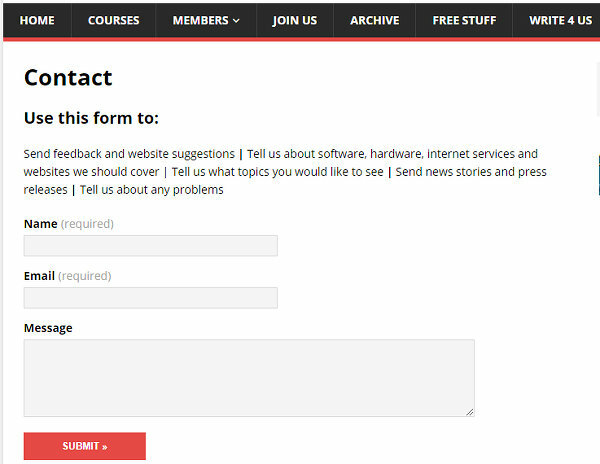 You should have contact information on your website, but it is also useful to have a contact form too. This is a page that contains a form that people can fill in. A basic form would have a subject box so people can write a heading, an email box so you know the email address of the person that contacted you, and a message body form where people enter the message they want to send you. A popular choice is Contact 7, a free WordPress plugin used by millions of sites. There are others. Just search for ‘contact plugins’ at the WordPress site. in some parts of the world, such as Europe, you must display a notice on the screen that your website stores cookies the first time the person visits. It does not have to be displayed on subsequent visits. It is a pointless message that irritates users because is it yet another pop-up that they have to dismiss. But it’s EU law and you must comply. If it is not the law in your country, you might be tempted to ignore it, but it is best to make your site comply with laws around the world than to ignore them. There are several WordPress plugins that do the job, such as Cookie Notice by dFactory and Jetpack. 8 About page isn’t about you! An About page is essential (tip 2), but what should it be about? Some people get the wrong idea about the About page and it is not about you – unless you are a celebrity. Don’t spend 1,000 words waffling on about yourself, what people really want to know is what the site is about, why it exists, and what it can do for them. Think of it like an advert or at least an opportunity to sell your site articles, products or services. You can include a bit about yourself of course, but limit it to a paragraph or two and make the rest about the site and content. 9 How many visitors will I get on day 1? Many people worry about launching their blog or website and one of the reasons is that they think no-one will visit it. They probably won’t. Get over it. If you have a lot of money and time to spend promoting a site’s launch, it will be a very quiet event. Don’t let this worry you. Success rarely comes overnight and most people have to work at building their site for quite some time before it is successful. I got around 10 visitors on day one and I think 9 of those were me checking the site was working. Don’t worry, just keep working on your site, improving it and growing it. 10 How do you grow your site? There are many ways and there isn’t a ‘Just do this one thing to grow your site!’ It is more like 101 different things. To gain readers and followers you should post as often as you can. Some top websites have teams of writers and they post every hour, sometimes every half hour. I have counted 100+ posts on Buzzfeed in one day. You cannot compete with that, but the more you post, the more visitors your site will get. It will depend on the amount of time you can dedicate to your site, so there are no strict rules. Just do as much as you can. Whether you post new content on your site once a month, once a week or every day, you should do it at regular intervals. If people know that there will be a new post every Monday for example, it encourages them to visit you site to see it. If people don’t know if or when the next post will be, they will not visit as much. Everyone’s schedule will be different and it depends on how much time you have to spend on your blog/website. Whatever the posting frequency, try to stick to it and make it a regular thing. In an earlier tip I said you should post as often as you can, but the frequency with which you post is partly determined by the type of content you are sharing. A news website for example, would be expected to post short stories multiple times a day as news breaks. At the other extreme, let’s say you had a marketing blog and produce 5,000 word in-depth articles covering your subject in detail. In this case posting once every two or weeks or even once a month may be sufficient. Getting a website started is a problem because at first there may not be sufficient content for people to stick around or to return. 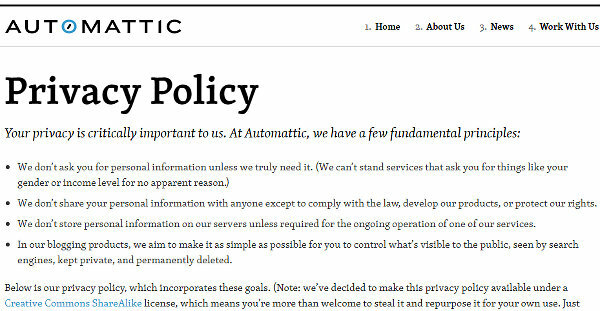 On Launch day you may have just one article, an About page, a Contact page, and a Privacy page. That’s not going to go down well with visitors. You need a minimum of 10 articles or your site will look very bare and lacking in content. You could write 10 articles and then launch your site, or launch it with one and add the other 9 as fast as you can. Either way, you need to work flat out at first and post as fast as you can to build your content. When your site is established and there are several posts for visitors to browse and read, you can slow down a little and get your breath back. 14 How long should a post be? You will find lots of articles on the web discussing this topic and most of them will tell you that posts should be 2,000 words or even 3,000. It is more complicated than that and just making a post as long as possible is not the right way to gain visitors. Sometimes it is necessary, but not always. The type of content is a factor to consider. For example, suppose you have a food site with recipes. People don’t want to read 3,000 words on baking an apple pie. They want a list of ingredients and a step-by-step guide. As few as 500 words might be sufficient. News sites often post short stories of just several hundred words too. Sometimes 2 or 3,000 words are required to thoroughly cover a topic, but other times 5 or 600 is sufficient. Getting the word length right is more important than simply making a post as long as possible. When do you post new articles on your website? As soon as they are written? That may not be the best time. The problem is that time is not the same for everyone and in one part of the world it is mid-day and in another it is midnight. When some people are waking up and checking their phones and computers for new messages and social updates, other people are switching them off and getting into bed. There is even a large difference between east and west coast US. Post at the wrong time and some people may be fast asleep! Find out where your audience lives, or at least the largest proportion of your audience, and post when they are most likely to see it. You can’t please all the people all the time, so just focus on where most people are located. The next few tips will look at SEO, which is an incredibly important topic for anyone with a website or blog, business or personal. So what is SEO? It stands for search engine optimisation and it is all about getting your site as high up in the search results as possible at Google, Bing, Yahoo!, Ask and others. Well, Google mainly because it has between 81 and 92% of the search market depending on whose figures you believe. Most people searching at Google only look at the first page of results, a few people look at page 2 and hardly anyone looks at other pages. SEO refers to the techniques used to get a website onto the first page of search results. The ultimate goal is to be the first site listed. Why? Because most people click the first few links and being number 1 sends lots of visitors to your site. 17 What is on-page SEO? Many factors affect where you appear in search results on Google and other places. In fact, Google has said there are around 200! SEO is about the techniques you use to rise up the search results, hopefully to get onto the first page. On-page SEO focuses on what you can do to a web page to make it more attractive to search engines. It is the place to start with SEO and other things, like off-page SEO, come later. What can you do to a web page to improve SEO? There are actually many things and I cover them in the course The On-Page SEO Guide. The most basic is to have a page title that includes keywords that people might search for. Put the most important words first, because long titles get chopped after 60 or 70 characters. 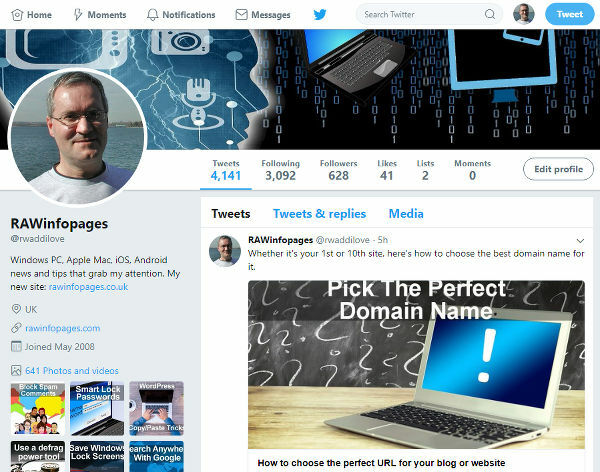 18 What is off page SEO? SEO is the business of getting your web posts and website appearing higher in Google search results. The ultimate goal is to be the first search result. Off-page SEO is all the things you can do to rank higher without making any changes to the page or site itself. Basically, it is promotion. Share links on social media, write guest posts with links back to your site, distribute a press release, take part in discussion forums, and so on. 19 What is white hat SEO? White hat SEO is basically all the methods approved by Google to improve your website and web pages. It is mostly, but not entirely on-page SEO, which is the process of making your web pages easy for both your visitors to read and for search engines to understand. Make your posts so good that other websites want to link to them because of the comprehensive and authoritative content. These are natural backlinks and Google loves them. The more you have, the higher you will rank in search engine results. White hat SEO is the safest way to do SEO and is the most resilient to changes in Google’s ranking algorithm. In fact, they usually benefit you because Google is constantly discovering new ways to find cheaters and penalise them. You will rise in search ranking as they fall. 20 What is black hat SEO? When someone searches at Google and the results are displayed, there are many factors that determine where a site appears. Will it be the first, tenth, five pages down? Google tries to present the links that are most popular and most useful first. Black hat SEO is basically fooling Google’s ranking system into thinking your site is the most popular and most useful so it appears higher up in the results than it otherwise would. It is basically cheating! However, it works and so a lot of people do it. It is risky and Google has teams of people trying to work out how to block cheaters. It is common to see website owners complaining that a change in Google’s ranking algorithm has lost them thousands of visitors and dropped them down the search results. They were probably using black hat SEO and Google worked out how to block them. Beware of black hat SEO techniques, they can work, but they can backfire too. 21 What is a PBN? 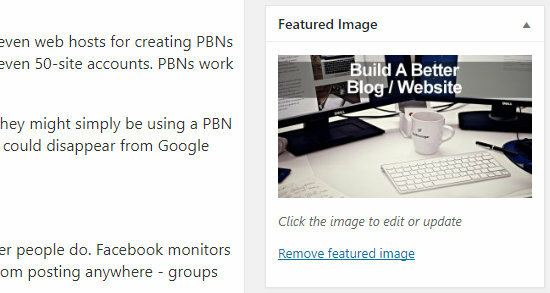 PBN stands for Personal Blog Network, but what is it for? It is a black hat SEO technique and a way to get your site to rank higher in Google searches. It is basically cheating the system and if Google finds out your site will drop down the rankings so fast you might never recover. A major factor that affects where your site appears in search results is the number of backlinks, so if you create lots of websites yourself and post articles with backlinks to your site, it looks to Google like you have a popular site that people like to link to. Google then ranks you higher in search results. Some people have dozens sites in their PBN, all with backlinks to their main site. There are even web hosts for creating PBNs that offer randomised IP addresses so you can’t tell who they belong to. You can get 25 or even 50-site accounts. PBNs work and this is the reason why some sites rank so high in searches. If a competitor’s site is ranking higher than yours, it might not be because they are better, they might simply be using a PBN to cheat the system. Using PBNs is not recommended because if/when found out, your site could disappear from Google search results. 22 What is Facebook jail? Don’t laugh, Facebook Jail is actually a thing! The company doesn’t call it jail, but many other people do. Facebook monitors how many times you post every day and if you exceed a certain number, you are blocked from posting anywhere – groups or pages – for a number of days or weeks. It is probably some automated anti-spam system that kicks in to stop spammers posting links everywhere. How many posts will get you in jail? I don’t know the exact number, but it could be as few as 10 or 15. However, posting less than this could result in a jail term if your posts look spammy. More about spammy posts in the next tip. People will not find your website or blog by accident. If you are very lucky they might find it through a Google search or a link from another site. However, it is difficult getting ranked high enough in searches to get noticed. Sharing your website or blog updates on social media is one of the best ways to gain visitors. It puts text, links and images in front of eyeballs! It makes people aware of your site and hopefully, they will click through to it to find out more. Share links to your posts as much as you can without it looking spammy. Recent tips have focused on sharing your site or blog posts to social media, like Facebook. It is important to promote your stuff as much as possible, but you should not post links that look spammy. There are several things that can make a share look like spam and one is no text – you just paste the link and leave. This could be on your own page or groups you belong to. To avoid being seen by Facebook and others as spam, you must include accompanying text. The amount of text you write is important and the more there is, the less spammy the post looks. One sentence is not enough and you should aim to write several descriptive sentences that talks about the link you are sharing. This is less likely to trigger the spam filters and it will get your post shared to more people. Sharing your website links and updates on social media is a good way to drive people to your business or blog. However, you need to be careful and not make it look like spam. What looks like spam to Facebook and other services? In the last tip I said you need to include a good amount of text. You also need to avoid repeating the same link. One share repeated over and over looks like spam. To avoid this, share different things, so instead of sharing one link to your site 10 times, share 10 different links. For example, promote 10 different articles from your site in different places, such as different Facebook groups, Twitter and so on, instead of the exact same one 10 times. Write different accompanying text with each share. 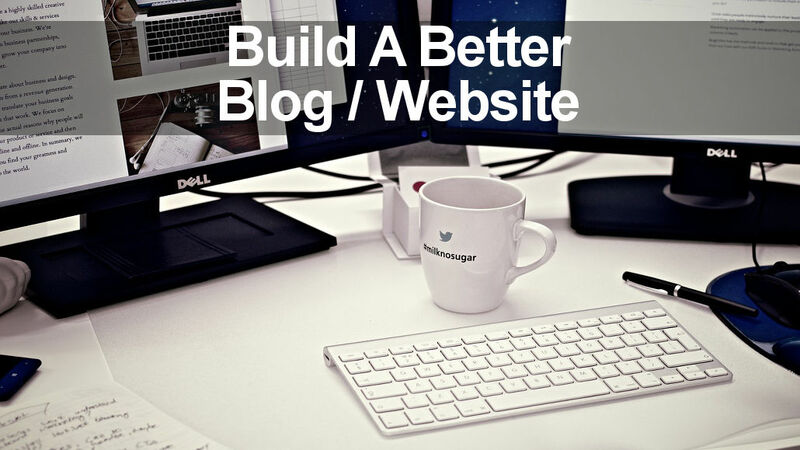 There are two ways to make a successful site and you can go for quality or quantity. You would need a big budget, team of writers, or a lot of time to do both. Quality means creating the most comprehensive and detailed articles you can. They will be 2,000 words or more and will answer every question the reader might have. They take a long time so you will not be able to create them, very often. Maybe only one every two or three weeks. It does not matter, they will be popular with your readers and Google search. Quality is a good thing to aim for. As mentioned in the last tip, there are two ways to make a site successful and instead of going for quality, you could go for quantity. I once counted the number of posts in one day on Buzzfeed, a top site, and it was over 100. There were several new posts every hour! They were mostly lightweight articles, often lists or a series of photos. News sites also post often and usually short stories, and this is understandable because they want to keep abreast of what is happening in the world as it happens. It would be nice if you could post 100 times a day, but you need a big team of people. It is easier for solo website owners, businesses or bloggers, to produce quality articles monthly than compete on quantity daily, but you can still have some success posting once a day. If you are setting up a new website then make sure it is secure right from the start with an SSL certificate. This makes it secure by using an https connection, which has several benefits. Your web host can provide this and set it up. In fact, it is becoming common to bundle hosting with SSL, so you can be up and running with a secure site in no time. Look for inclusion of SSL when shopping around for a web host. SSL, which enables secure and encrypted https connections, is required for sites that exchange information, such as logins, forms, shopping and so on. If your site is just web pages with information then it doesn’t need SSL. If your site sends people elsewhere to buy stuff, like Amazon, then it doesn’t need SSL, because Amazon handles it. Do you need SSL and https? 30 Do you post at the weekend? You could be posting on the wrong day and weekends are often poor time because people like to do other stuff instead of sitting at their computers or staring at their phones. Some people see 20% fewer visitors at the weekend than on a weekday, so if you have something important to post that you want everyone to see, wait till Monday! Twitter is a useful place to post links to your business or blog, and the more followers you have, the more people will see your tweets. How do you build your followers? One way is to follow other people. If you follow someone they get a notification and they feel obliged to follow back. Most don’t, but some do – around 4 out of every 10. Follow people to build your followers. Some people find it helpful to create an editorial calendar or schedule. Basically you map out what articles you want to post and when you are going to post them for the next month or even longer. You could keep it simple and use something like Google Calendar or the Calendar app on yur Mac and add articles as events. This will give you an overview of everything you need to do and when it needs to be done by. You are more likely to get things done when you can see a deadline looming, and you can set up notifications to remind you too. In the last tip I mentioned that producing an editorial calendar was a good way of ensuring that posts are written and published on a regular schedule. You can use a paper based calendar or an online service like Google Calendar, but there are dedicated plugins for WordPress that make great editorial calendars. Go to WordPress and check out the calendar plugins. How do you choose the best plugin? Take a look at How to choose the best WordPress plugins. A featured image is added by clicking the link in the right sidebar on the WordPress post editor page. It is down near the bottom. It should be large, such as 1000 x 500 pixels or even more. It not only shows on the page on your website, it is used when sharing links on social media sites like Facebook, Twitter, Pinterest and others. It makes social shares much more visually exciting. 35 What size should images be for social media? Every social network seems to need a different size image. If you were to create the perfect size image you would have to create one for each of Facebook, Instagram, Twitter, LinkedIn, Pinterest and so on. Who has the time for that? These services can cope with a variety of image sizes and if one is too large, they crop or shrink it, if it is too small, they enlarge it. This means you can get away with images that are not quite the perfect size and they still look quite good. Create images in either 1,024 x 512 pixels or 800 x 1,200 pixels, depending on whether you want a portrait (Pinterest style) or landscape (Facebook) image. One of the hardest types of website to create is a news site because no-one wants to read last week’s news. It is a bit of a never ending treadmill and you have to keep creating new content or you lose visitors. Evergreen content is timeless and it works just as well in six months or a year’s time as it does today. Fill your site with evergreen content and people always have something to read and articles will continue to pull in readers for months or even years to come. Some days you just don’t feel like blogging. Some days you need a rest. Sometimes you are on holiday. There are various reasons why you might not want to or be able to post on your website or blog and one solution is to write an evergreen post (something that does not date and will be just as relevant in 6 months time), and save it as a draft. It is there if you need it and it means you can have that time off you need. Do you have an image slider on the homepage of your website? It could be turning away visitors. A slider is that slideshow thing where one photo slides or swaps with another. There may be half a dozen large photos and it really slows down the page load time. This not only irritates visitors, it annoys Google too and your site will not rank as highly in search results if the slider makes it slow. Facebook shows posts to fewer people if your site is slow too. Get rid of your sliders! What is a category in WordPress and how is it useful? A category is simply a label you can attach to posts. Suppose you have a food recipe website, you could have categories for Breakfast, Lunch, Dinner and Snacks. Each recipe you post would fit into one of these categories. A sport website could have categories for each sport, such as Golf, Tennis, Basketball and so on. Each post would be assigned to a category depending on the subject. In the next tip I’ll show why this is useful. 40 What can you do with WordPress categories? Why should you bother to create categories in WordPress and assign posts to them? The reason is you can do clever things with categories. For example, they can be put on menus so visitors can easily find the articles they are interested in. Some themes have widgets that enable you to display snippets from a specific category in the sidebar or home page. For example, you could show the latest 5 articles or 10 random ones, and so on. Categories are very useful for helping visitors find stuff. 41 What are WordPress tags? It is easy to be confused by tags and categories and they have different purposes. Let’s say you have a food recipe website. You could have meal categories like Breakfast, Lunch and Dinner. Select a category and you can see all the recipes it contains. You could create tags for food, such as eggs, chicken, potatoes and so on. Clicking a tag on the site, such as eggs, would list every recipe that used eggs. A tag is a helpful and alternative way for people to find the content on your website. Think of a book. Categories are like the list of chapters at the front and tags are like the index at the end (of non-fiction textbooks). 42 How many WordPress tags and categories should a post have? 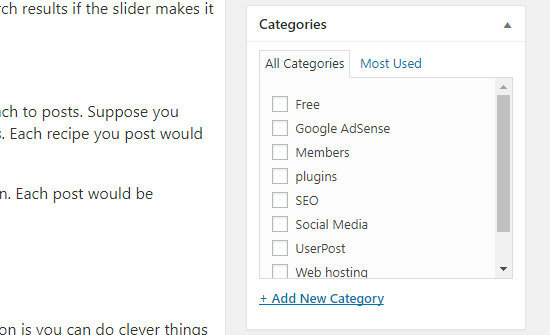 There does not appear to be a limit to the number of categories and tags that you can create in WordPress and it might seem like a good idea to add as many as you can to a post. After all, the more there are, the more links there are for visitors to click and more ways for them to find content on your site. This is true up to a point and as you add 1, 2, 3… tags and categories, it helps visitors and in turn this can help SEO. However, large numbers can have a negative affect and some people say that 10 or more makes posts perform worse. Aim for a total of 5 or fewer tags and categories. Keep it simple! Comments on your website can be an excellent way to interact with your audience, but it can also be taken over by trolls, troublemakers and spammers. Ask yourself whether you really need to have comments. Some big websites have disabled comments because they took up so much time and effort moderating them that it wasn’t worth it. Is it worth it on your site? For most people the benefits outweigh the disadvantages. If you do decide not to have comments, go to Settings > Discussion to turn off commenting. The extra time you will have because of not having to deal with spam could be used for creating great content. Google answers questions: What is the tallest mountain? Where can I buy pizza? Why is my computer crashing? How do you bake cookies? The list of questions people have is endless. Make every post on your website answer a question and Google will send people to your site for the answers. Google gets 3.5 billion queries a day (I just asked Google the answer to that stat), and people are looking for answers. Provide them. The comment form at the bottom of posts attracts spammers and one way to reduce spam is to close comments after a certain period of time. When are most comments posted? In the first week, first month? 6 months? Go to Settings > Discussion and tick the box Automatically close comments on articles older than… Enter the number of days, such as 30, 100 or whatever you want. This setting allows people to comment, but it blocks spammers looking for old articles to post their junk hoping you won’t notice. WordPress can let users register with your site and this makes them a subscriber. Don’t worry, this does not let them access the admin back end or post anything. They can change a few things related to their personal account, but that’s it. 47 What are the benefits of allowing membership? In the last tip I discussed letting users create an account at your website and log in. Why would you want to do this? One reason is to limit comments to registered users. If your site is plagued by spammers posting junk comments, one option is to restrict commenting to logged in members only. Go to Settings > Discussion and there is a setting, Users must be registered and logged in to comment. Spammers are less likely to be bothered to create an account and if they do, you can delete their account. Letting people join your website can be useful in some circumstances and it can make them feel part of a community. Members may also contribute posts to your website or help out with editing and publishing, or comment moderation. When someone creates an account at your website, they are assigned a role which determines what they are permitted to do. New users should be assigned the Subscriber role because this limits them to reading posts on your site, commenting, and accessing their user profile. Go to Settings > General and next to Membership tick Anyone can register. 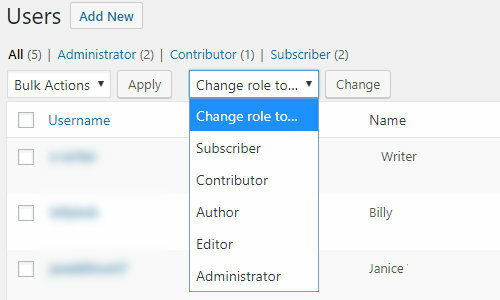 Just below is the New User Default Role and this should be set to Subscriber, which locks them out of all WordPress admin activity. 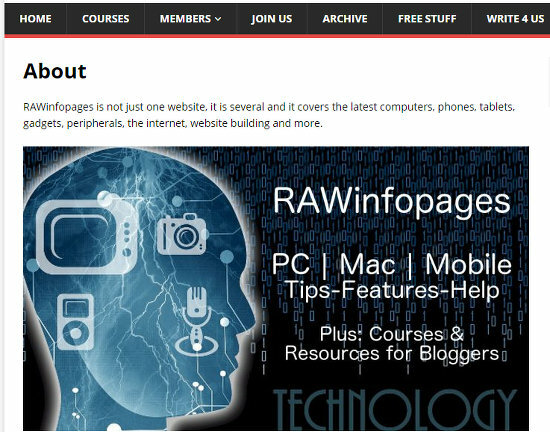 Wouldn’t it be great if other people could contribute articles to your blog or website? Guest posters can email their articles of course, but an alternative is to give users access to the WordPress backend so they can write directly using the WordPress post editor. Either manually create a user account for them and set their role to Contributor, or let them create an account at www.yoursite.com/wp-login.php?action=register, then go to Users, select their account and use the Change role to… menu to make them a Contributor. A contributor can write articles and save them, but cannot publish them. This is for your protection and it gives you the opportunity to read and edit posts before publishing them. When someone creates an account at your website, or if you add them through the User menu in the sidebar, they are assigned a role. A role determines what they are allowed to do and in the last tip we saw how assigning someone the role of Contributor allows them to write posts for your website, which is useful for guest posters and writers. A Contributor cannot publish a post and make it live on the site. If you select the user through Users in the sidebar and change their role to Author, they can then publish their post and make it live on your site. Only make people Authors if you trust them because they can publish posts without your permission and without you checking they are OK. An author can write, edit and publish their own posts, but no-one else’s. Someone assigned an Editor role can write, edit and publish their own posts and everyone else’s. They can change every post on the site or even delete them, so only assign Editor role to someone you really trust. Who would you make an editor? You might employ a VA (virtual assistant) who needs to create or edits content on the site. Follow my progress, and get tips 51 to 365 by joining my Facebook group 365 Blogging Support. There is more than tips and you can chat to others, ask questions, get help with problems, and share your links for everyone else to see. Love how you say the about page isn’t about you! I agree 100%, people should show how they offer value, not what kind of ice cream they like. Thanks for all your tips!